After the publication of an IMF research paper entitled The Chicago Plan Revisited by Benes/Kumhof in September 2012 , contemporary initiatives that advocate plain sovereign money have quite often been identified with the IMF paper (cf. international money reform). But is it true that the Chicago Plan, or more generally speaking, an approach of 100%-reserve banking, and plain sovereign money are the same? Both approaches are certainly related in that they belong to the family of currency theories, as opposed to banking teachings (see > Currency and Banking Teachings on this site). Under technical and operational aspects, however, 100% reserve and plain sovereign money are two different systems. Currency teachings separate the creation of money from the use of money in banking. They make money creation and the control of the quantity of money the task of a public authority, while mediating between money lenders and borrowers is a banking task. All money – not only cash in hand, but also non-cash currency in an account – should be chartal money, i.e. plain sovereign money. Banking teachings, quite the opposite, want to view money as a purely private affair, spontaneously created by the 'markets', i.e. by the banks as a matter of fact. In this sense, one can indeed make out a certain lineage from the currency school of the 1830–40s to the monetary reform approaches of the 1910–30s (not only including 100%-banking, but also 'free money' according to Silvio Gesell and 'social credit' according to C.H. Douglas), and from there to present-day sovereign-money approaches. Correspondingly, these approaches have a number of things in common, in particular the same or a similar analysis and critique of fractional reserve banking, criticism of abandoning the age-old monetary prerogative in favour of crisis-prone banking practices, as well as criticism of the government becoming dependent on banks' credit and deposit creation for funding public debt. As a consequence, they also share as a basic goal to put an end to banks' primary credit creation and to regain control over the money supply, based on the prerogative of issuing the official means of payment and benefitting from the seigniorage thereof. Control of the money supply is decisive for stabilizing business and financial cycles and avoiding systemic banking crises. Technically and operationally, however, 100% reserve and plain sovereign money are two different things based on different principles regarding the ways of creating and issuing money, accounting procedures, management of payment transactions, and partially also with regard to institutional arrangements. Equating both kinds of approach is misleading. On closer examination it becomes clear that the historical 100% approaches would not have accomplished their objectives, for purely operational reasons. Achieving those goals requires progressing beyond any type of reserve system in favour of a system that does not need backing-up by 'reserves' anymore since all of the money there is plain liquid currency in and by itself. Part of the differences between the two was that the Chicago plan favoured mechanical rules for guiding monetary policy, while Fisher wanted to entrust the money-issuing body (currency board) with the freedom to conduct discretionary policies. If scholars today deal with 100% reserve they normally refer to Fisher’s 100%-money, including the final version he published together with a number of colleagues in 1939. Differences between various approaches to 100% reserve will not be discussed here in more detail. Instead, the focus will be on structural elements that all variants of a 100% reserve, or full-reserve banking, have in common. For an adequate understanding of 100% reserve banking it helps to recapitulate briefly core elements of the present system of fractional reserve banking. In this system, 'reserve' is the term for 'central-bank money on account in interbank circulation'. Money circulation is split. There is an interbank circulation on the basis of central-bank money (reserves), and a nonbank or public circulation on the basis of bank money (demand deposits, also called sight deposits, or transaction deposits, respectively). Interbank and nonbank circulation never mingle. For purely technical reasons, this is impossible. Reserves never end up in a customer’s bank account, as demand deposits never add to banks’ reserves. Cash, furthermore, does not have a constitutive role here anymore. Cash is now a mere remnant of the metal age of money. It is exchanged out of and back into the basically non-cash money supply according to customer payment habits. Banks buy coins and notes at the central bank in exchange for reserves. Customers withdraw cash from their current bank account in exchange for deposits, or the reverse. The original form of money today is non-cash. Deposits are not created by 'depositing' cash, but by a scriptural booking entry ex nihilo, actually by central banks when crediting a bank’s operational account, or by banks when crediting a customer’s current account. The relation between interbank and public circulation is determined by clearing and settlement of payments. Transfers from and into bank accounts are continually cleared. In the euro area this is done via the TARGET2 payment system run by the ECB and related national central banks. The resulting balance is a money claim on other banks or a liability to pay to other banks. Normally, this comes out as a small amount in relation to total turnover, or to the stock of demand deposits, respectively, on average just 2.5 per cent of demand deposits in the EMU up to the crisis. The fractional amount has to be settled in reserves on a daily basis or otherwise. Banks also entertain bilateral interbank clearing agreements. Clearing of claims and liabilities in bank money, even beyond the day, and settlement of the final balance in reserves allows the banks to create amounts of bank money that represent a multiple of the reserve and cash base on which they operate. This is why in German-speaking countries the present money system is called ‘multiple bank money creation’. In other words, the reserve and cash base available to banks represents just a fraction of the entire payment turnover, or of stocks of demand deposits created at a time. This is why in English-speaking countries the system is called ‘fractional reserve banking’. Banks create deposits when making loans to customers, or allowing overdrafts, and when buying securities or real estate or similar assets. These transactions are paid for by crediting customers' or sellers' current account. Banks, in particular big ones, do this regardless of the reserves they have available. Should it turn out that reserves are not sufficient, the missing amount is taken up on the interbank and money market. Normally, this works smoothly since a bank's payment deficit is the surplus of other banks; a surplus which they are normally happy to lend at decent interest. If the entire banking sector has extended its credit balance, and reserves are thus lacking on the whole, additional reserves can be taken up at the central bank. Central banks may provide additional reserves at higher or lower interest (which alters the profit margin of the banks), but the banks’ demand as such is largely price-inelastic and is always accommodated. The volumes of deposit creation are pro-actively determined by what the banks have decided to do on an individual basis. The central bank just re-acts by fractionally re-financing the banks' residual need for reserves. In proportion, central-bank money involved is not more than just a small fraction. For creating and maintaining a demand deposit of 100 euros, the banking sector in the euro area up to the crisis just needed 2,50 euros in central-bank money, composed of € 1,00 idle minimum reserve, € 1,40 cash in vault and 10 cents excess reserve for final settlement of cashless payments. It must be pointed out that banks in the contemporary reserve system do not on-lend customer deposits. As said above, this is impossible. In a reserve system, savings and time deposits in M2, or similar ones in M3, represent inactivated bank money rather than serving as means of finance, or of payment respectively. From taking in deposits, a bank does not receive reserves of the same amount, and actually no reserves at all if the deposits come from own customers. Equally, a bank cannot use the equivalent of such deposits for own purposes, since such deposits represent immobilized customer claims on their bank. These deposits, therefore, are idle bank liabilities rather than liquid bank assets. Nevertheless, this allows the banks to extend new credit at higher interest than deposit interest, without running the risk of withdrawals and deposit migration which might generate a liquidity problem. There is some widespread misunderstanding about banks' functioning under fractional reserve, for example, that the banks 'work with our money' and that they lend 'ten times what they actually have'. This sort of misconception is also behind ill-conceived textbook multiplier models. The assumption had some truth to it in former times, i.e. in the metal age of money, in cash economies from ancient Athens, the Hellenistic world and Rome up to the 19th century. Throughout those times banks were occasionally reported to have mishandled customer deposits. They made loans by lending often enough too much of what had been entrusted to their custody. This, though, was not necessarily illegal if the deposit was coin or precious metal. The institution of the monetary irregular-deposit contract, existing since ancient Rome, in fact admitted the practice. According to the underlying interpretation, depositors had a claim to get back an equivalent amount of coin or precious metal, not however exactly the same coins and pieces of metal which they had deposited. The story of fraudulent goldsmiths who allegedly invented fractional reserve banking by practicing 'irregular money depositing' is a widespread narrative in the Anglo-Saxon world. The story may be well-intended, but actually adds to confusion. In modern cashless banking, it simply does not apply anymore. Depositing and withdrawing cash is no longer constitutive for banking. It is the people who habitually continue to use some cash, whereas the banks would prefer to do away with it, for to them handling of cash has become a residual nuisance, a mere cost factor. This view is shared by government, since most government bodies, in particular the revenue offices, no longer accept to get paid in cash. The basic idea of all 100%-reserve approaches now is to bulk up fractional reserve to a 100% reserve. However, although 100% instead of 2.5–12% sounds easy, looked at more closely it turns out to be rather complicated. 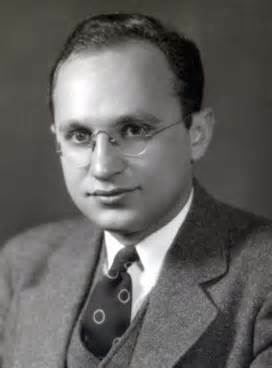 Young Milton Friedman, supporter of mechanical rule-based 100%-banking (Chicago plan). - Photo: Columbia Univ. The basic idea of 100%-banking is open to interpretation. Why should 100% idle reserves cover banks' deposit liabilities; instead of making available 100% operational reserves ('excess reserves') which are in actual fact used as means of payment, i.e. as a liquid asset? Why continue with the split process of clearing of deposits (bank liabilities) and settlement of the balance in reserves (liquid central-bank assets); instead of doing the clearing and settlement in just one kind of money, i.e. fully available central-bank money? These questions already stand at the crossroads between approaches of 100% reserve and plain sovereign money. If 100% reserve is about bulking up idle minimum reserve requirements on deposits, does this mean an obligatory 100% reserve just on demand deposits? Or is the 100% reserve intended to cover all deposits in M1/M2/M3? The 100% reformers of the 1930s eventually opted for checkable deposits only, excluding savings and time deposits and other items in M2/M3. This is understandable, because only demand deposits are used as current means of payment. It nonetheless remains questionable, because deposits in M2/M3 represent bank money too, even though inactivated and thus representing near-money rather than instantly available money. And what sense does it make to back up one kind of fiat money (bank money) with another one (central-bank reserves), given that neither one is backed up by (insufficient) stocks of gold or the (fictitious) value of territory anymore? Both are covered by nothing but real economic productivity. This was basically understood already in the 1930s. At the time, though, it seems that even I. Fisher was still not fully free of thinking in terms of intrinsic-value commodity money, at least, thinking in terms of cash. He thought of cash as 'actual physical money' and explained that the coverage reserve would have to be held 'in cash'. It remains unclear, whether or not in his understanding this included reserves in the sense of non-cash central-bank or state money, or was specified in this way later on. Such questions regarding the layout of a 100% approach might be clarified. Much more importantly, however, it must be pointed out that the structure of a 100% reserve system remains the same as in a fractional reserve system. The split between interbank circulation on reserves and public circulation on demand deposits continues to exist. Bank money on a basis of central-bank reserves (even though intended as a 100% reserve) would continue to be the predominant means of payment, pro-actively created by banks' decisions and – contrary to what 100% reformers imagined – re-actively re-financed by the treasury or the central bank. New reserves would predominantly still be put into circulation via interest-bearing credit to banks. The money supply would thus continue to be debt money. Customers' current accounts would still be part of their bank's balance sheet. What they possess would still not be the money itself but a claim on money (even though intended to be secured by a 100% reserve). In a reserve system, no matter whether fractional or full reserve, the means of payment in public circulation represent an overnight liability of banks to their customers as much as it is a liquid asset of the respective bank-debt owner. Nonbanks (as well as banks among themselves up to a certain extent) do not pay with sovereign money, but with debt, i.e. liabilities of banks to other banks and nonbank customers. If one takes a different view on one or a number of these statements this indicates a mixture of elements of both reserve banking and a plain sovereign-money system. Operationally, such a mixture is not feasible, or does not make sense. Quite a number of scholars – spontaneously, but erroneously – assume that in a 100% system the reserves would be used as liquid money. This is not the case. To the contrary, the initial and primary process continues to be interbank clearing of bank liabilities. In this respect it is of utmost importance to see that 100% coverage does not take place on the asset side of a bank that actively extends credits to customers and sellers. Instead, full reserve is required in order to cover deposit-liabilities of the banks as they passively receive payments from other banks and adding up to a certain amount of overnight liabilities (bank money). The clearing of liabilities and settlement of resulting balances in reserves is in fact very different from an immediate (i.e. non-mediated) flow of money as a liquid asset (which is the operative principle of a plain sovereign money system). Therefore, most t-account descriptions of credit and deposit creation remain inexplicit in that they suggest a customer is going to have a deposit when borrowing from a bank, when in fact and in practice customers borrow to spend the money, as is immediately apparent from overdrafts: it is not the overdrafting customer's account where the money ends up, but the current accounts of other customers at mostly other banks to whom the overdrafters transfer the bank money they have taken up. As a result, banks have to provide for a 100% reserve on overnight liabilities on their balance sheet that have been created by other banks, whereas the credits they extend themselves have to be backed up by other banks. This should certainly raise questions – under fractional as much as under full reserve – as to how sensible and justified this is in a system that claims to be based on individual assignability of causation, responsibility and risk liability. The functional falling apart of responsibility for payment reserves (excess reserves) and coverage reserves (minimum or 100% reserves on deposits) is characteristic of any reserve system. It reveals the most fundamental, and collective, operating principle of reserve banking, i.e. a conformity rule according to which all banks must extend credit largely in step with each other, because otherwise payment deficits/surpluses as well as minimum reserve requirements for each bank would become too high or disproportionate, threatening the banks' functional capability. As a consequence, even in a system of full reserve, bank activities do not, and would not, have to be financed at 100% in advance, but would continue to be refinanced afterwards, in the same way as under fractional reserve. The excess reserves the banks need for doing so, as a percentage of outgoing and incoming payments, would actually not be altered per se. It follows, moreover, that liability-side reserve requirements for overnight deposits cannot be determined in advance. Any such reserve requirement results ex post. This is, not by chance, the way in which minimum reserve requirements are actually levied, on a biweekly, monthly or other basis, according to different procedures of data compilation, reporting and fulfillment of the reserve obligations set in some such procedure. Accordingly, the initiative in creating additional deposits would stay with the banks, and central banks would continue to re-act to the facts the banks have pro-actively created. The banks would continue to create all of the money, and the central bank, or the treasury, would continue to provide the reserves, even though at 100% rather than just 2.5–12%. The actual reserve, however, as it would occur in practice, is bound to be lower or higher than exactly 100% of overnight liabilities, due to the time delay inherent in the procedure. This creates degrees of freedom for discretionary deposit creation by the banks. A 100% reserve will thus not be able to achieve its fundamental and central goal of regaining full pro-active control of the money supply. Fisher as well as the Chicago scholars of the 1930s assumed that in a 100%-reserve arrangement a bank can loan or buy only as much as it has excess reserves of the same amount available. This, however, is not the way a reserve system works. At first, banks create credits and deposits, thereafter they look for the reserves for getting refinanced. Moreover, the assumption seems to be based on confusing excess reserves (liquid assets) with coverage reserves (covering overnight liabilities). The above assumption is only applicable if every transaction is immediately and fully carried out in central-bank money in a direct account-to-account transfer. This implies the presence and availability of central-bank money as a liquid asset, whereby every payment results in a deduction from those liquid assets and their direct, non-mediated transfer into a receiver's account. If this is the case, however, one has gone beyond reserve banking and deals with a liquid sovereign-money system. In such a system, 'reserves' – be it in the sense of excess reserves or coverage reserves for overnight liabilities – are obsolete, in fact a useless done-twice double-cost feature, as is the split between interbank and nonbank circulation. Instead, in a sovereign-money system there will be just one kind of money for clearing and settlement alike, i.e. sovereign central-bank money as a liquid asset. Another question of 100%-reserve banking which did not find a satisfying answer is how to make the transition from fractional to full coverage reserve. From where would banks obtain that much eligible securities and 'real bills' (best-quality IOUs) needed for bulking up a fractional 2.5–12% reserve to 100%? Central banks would have to lower their standards considerably and even be prepared to accept bank-credit claims of doubtful quality, or else grant any amount of open-account credit to banks without liable collateral. Furthermore, transition to a 100% reserve is tainted with the problem of rising funding costs. This problem is absent in a plain sovereign money system. If the coverage reserve required is stepped up from 3–12% to 100%, the banks have to pay accordingly more interest in addition to the interest which they pay anyway on all customer savings and time deposits, maybe even on demand deposits. Interest-borne seigniorage of the central bank would go up, while banks' interest margin would be squeezed or the additional cost passed on to customers. General levels of interest would significantly go up. As explained above, deposits in M2/M3 represent immobilised bank money. In a 100%-reserve system this would basically be still the same. Under 100%, however, deposits in M2/M3 would bind or release coverage reserves depending on whether the reserve is levied on all deposits or just on demand deposits. If the 100% reserve relates to demand deposits only, a bank would actually set free a corresponding amount of reserves, i.e. it would not have to provide reserves for the deposits in M2/M3. In a 100%-reserve system the money supply continues to be credit money, i.e. debt money. The difference would be that the monetary authority charged with issuing cash and reserves (in the US a currency commission under the roof of the treasury, in Europe national central banks) would have to provide about 100% instead of 1% coverage reserves on deposits, plus a few additional percentage points of cash and excess reserves. The reserves would be emitted either by loaning the reserves to banks or by buying government bonds, secondarily on the open market, or maybe even as direct primary credit in which case interest payments would be netted out, while the credit would be a debt nonetheless. In the case of credit to banks, the profit from creating new money comes as interest-borne seigniorage, in contrast to genuine seigniorage from spending new money into circulation free of interest and redemption. Modern genuine seigniorage corresponds to the profit from traditional coinage, i.e. it results as the purchasing power of the newly issued money minus the costs of production and provision. If, nevertheless, new money is used to buy sovereign bonds or to lend directly to government, then this may on balance be interest-free, but not debt-free. However much one were to reinterpret the meaning of this, for example, whether it is about a factual or just formal obligation to redeem, the situation would remain inherently ambivalent. It should by now be obvious that a 100% reserve still represents a complicated reserve system, difficult to understand and to keep control of. In contrast to this, approaches to liquid sovereign money are going beyond reserve banking. 'Reserves' there are no more, as there is no longer a split between interbank and nonbank circulation, with the banks holding the wild card in-between. There is no more M0 and M1, just one integrated supply of sovereign money M, circulating among banks and nonbanks alike in a direct, non-mediated account-to-account flow. Bank money will be phased out and replaced with sovereign lawful money, just as treasury coins and central-bank notes already are. Deposits in M2/M3, in contrast to the present situation, will become real deposits, in actual fact an investment in a bank, a customer loan to a bank, partly securitised, partly non-bonded. Banks will actually obtain means of financing from such deposits. Sovereign money does not need to be backed up by further monetary or financial items. The sole coverage any fiat currency needs is a productive and competitive economy delivering the goods and services money can buy. Up to a certain point, banking and the financial economy are an indispensible part of any productive and competitive economy – as long as financial business volumes do not disproportionately blast off (inflation, asset inflation, bubbles), exceeding critical thresholds in relation to real GDP. Sovereign money will exclusively be issued by an authorised state body, in Europe by institutionally independent national central banks, or the ECB. The terms money and currency will take on a same meaning since there will be no more categorial difference between cash-on-hand and non-cash money-on-account. The biggest part of new, additional money will normally be issued long-term. This should be done through genuine seigniorage, i.e. spent into circulation through public expenditure. The smaller and short-term part can be issued through central-bank credit to banks as well as to the treasury, the latter certainly in accordance with well-defined fiscal rules. In a plain sovereign-money system the central bank has pro-active, immediate and effective control of the money supply. In a plain sovereign-money system today's current accounts will be actual money accounts. The money will no longer be a deposit in a bank, but a customer's property, managed by a bank or specialised service bank on behalf of the customers, or, with the spread of online banking, in fact by the customers themselves. Payments onto or from money accounts are no longer part of a system of clearing of bank liabilities and final settlement in reserves. Instead, there will be a direct point-to-point flow of liquid money. Customer money accounts are no longer part of the banks' balance sheets. Money can of course be lent and borrowed, but, in contrast to bank money, sovereign money in itself will in no way exist as a liability, i.e. as a debt. In any bank and nonbank balance sheet money will be a liquid asset only. Money creation will be a function separate from lending and finance, the first being the constitutional task of central banks, the second part of the banks' business. In a plain sovereign-money system commercial banks are just money intermediaries, no longer holding a wild card in monetary affairs in that they participate in the interbank and public traffic at the same time. They may continue to be service banks in the sense of managing customer accounts, payments, and providing cash and foreign exchange. Perhaps banks will continue to be money investors themselves (proprietary trading) or full-fledged investment banks. The basic difference is they will no longer have the tacit license to print money (a tacit license, by the way, which up to the present day is without explicit legal foundation). Banks will thus no longer be able to create themselves the money on which they operate. For the rest, though, banks can and should be free to do what they are able to do. Unlike under a 100% reserve, in a plain money system banks would not have to face higher financing costs. The reason is that the interest they pay on deposits, certificates and bonds would actually provide them with liquid money (rather than immobilise bank money as is the case today). Transition to a plain sovereign-money system provides a unique one-off opportunity to pay down public debt by half or even in full, depending on national levels of sovereign debt. The reason is that the entire stock of bank money, i.e. existing interbank and customer demand deposits, will be phased out according to residual maturities of outstanding credit (about 2–4 years), and be replaced with sovereign money. This is somewhat analogous to the phasing in of central-bank notes 100–150 years ago, while phasing out old private notes issued until then by commercial banks. This creates a one-off transition seigniorage amounting to the existing stock of demand deposits, in addition, but only once, to the regular seigniorage from extending the money supply according to current growth potential. Transition to a 100% reserve offers a similar opportunity, as especially Irving Fisher had recognised. The envisaged mechanism, though, was somewhat different. Fisher wanted the government body charged with money creation (currency commission) to create as much cash as necessary in order to buy back sovereign bills and bonds in the portfolio of banks. At the time it seemed to be the right idea, since, according to Fisher, the amount of public debts roughly corresponded to the amount of demand deposits. This would thus have helped the banks to obtain the reserves required. As a consequence, the currency commission would then have held the biggest part of the sovereign debt. Fisher remained ambivalent about whether the netting out of claims and liabilities among different government bodies meant a cancellation of sovereign debt or an interest-neutral arrangement allowing for large volumes of debt without having to bother about this in the foreseeable future. To put it differently, it remained unclear whether this meant debt-free seigniorage or monetisation of debt. If one accepts that the state is not, and must not be, a monolithic homogenous body, but a differentiated structure of manifold institutions with separation and balance of state powers under public law (including budgets), then one will have to assess the concept of a Currency Commission under the roof of the treasury as problematic. The monetary prerogative should be in the hands of an independent monetary state authority outside the executive power, such as, for example, an independent nationalised central bank. This is all the more important since monetary and fiscal responsibilities must not be confused. In the 1930s, Fisher assumed that upon transition from fractional to full reserve, the banks would obtain the required reserves in exchange for sovereign bonds that the banks had in their portfolio. In this way, most of public debt would have been 'wiped out', as Fisher put it. Today, holdings of sovereign debt by domestic banks are clearly less, about a quarter or a third of it. As a result, reserves obtainable from selling public debt would not be enough, and the biggest part of additional reserves would have to be lent to the banks, directly, without any detour, for serving as 100% deposit coverage―in which function the money remains committed. That money cannot be issued twice, and would thus not help to pay down public debt. Moreover, that money does not represent debt-free genuine seigniorage, but interest-borne seigniorage, which would be an additional burden on the private economy in permanence, in addition to existing taxes and social-security contributions. If one accepts that the state is not, and must not be, a monolithic homogenous body, but a differentiated structure of manifold institutions with separation and balance of state powers (including budgets) under public law, then one will have to assess the concept of a 'currency board' under the roof of the treasury as problematic. The monetary prerogative should be in the hands of an independent monetary state authority outside the executive power, such as, for example, an independent nationalised central bank. This is all the more important since monetary and fiscal responsibilities must not be confused. In conclusion, a number of differences between 100% reserve and plain sovereign money can be established. Let us start with safety of money. Bank money on a fractional reserve is basically unsafe and needs to be propped up by state guarantees and deposit insurance (which in bigger volumes is unreliable itself). Is it different with a 100% reserve? As 100%-money is still bank money, the assumption of demand deposits being safe under a 100% regime is actually questionable. In contrast to what many people and even experts think, coverage reserves on deposits are not meant, and not used as a safety net, but are (according to the unrealistic money multiplier model) intended to be an instrument for controlling banks' potential of credit and deposit creation. A 100% reserve requirement may considerably reduce banks' capacity in this regard (without entirely doing away with it), but will not prevent banks from occasionally running into liquidity problems. The actual answer then is to require 100% payment reserves, i.e. liquid money, which would render 100% coverage reserve redundant as the entire done-twice double-cost reserve system would be obsolete – and this is exactly what the approach of plain sovereign money stands for. Sovereign money is always a liquid asset and cannot disappear, neither on payback of a bank credit nor on a bank's insolvency. If, however, liquid money is lent to a bank or put in some other investment, those investments might possibly go wrong and the debtors might default. The money supply or money base, though, will not shrink because of this, because 'creating credit' and 'creating money', will be two different functions separate from each other, fully in line with currency teachings. Lending money to a bank will always be risky so some extent. Under a 100% reserve regime or with plain sovereign money this will not be different. In the reserve system, however, the difference between a deposit and a loan has become blurred. Deposits are treated as if they were loans without, or just marginally, fulfilling that function. On current accounts a deposit fee is charged, and the deposit may be interest-bearing at the same time. A fee on safekeeping a deposit is logical, as is interest on a loan. Interest on a deposit isn't. One may ask in which way overnight or savings deposits still represent deposits in the original sense. With plain sovereign money such ambivalence resolves itself. Deposits will exist as a securities account or valuables in the bank safe. Money deposits, however, will not exist anymore; just money accounts. Off the banks' balance sheets these are no more deposits than coins and notes in the pocket. In addition there will be customer loans to banks, in the form of savings accounts or similar. These aren't a deposit either but a near-money, short-term capital investment. In a plain money system a bank can actually use the money involved as a liquid asset, in contrast to a reserve system where savings deposits are inactivated bank money, even though this makes sense for the banks, as explained. With 100% reserve, transferring money on a savings account would have a similar meaning as in a plain money system if the 100% reserve were levied on M1 only. If, however, the 100% reserve also had to cover deposits in M2/M3, this would come close to 'having your cake and eating it'. Such an extended 100% reserve would cause an even stronger rise in the level of interest rates, with adverse consequences to funding real-economic investment as much as financial investment. With plain sovereign money this is different because no interest has to be paid on (non-existent) reserves, and interest paid on deposits makes liquid money available to the banks. Ceteris paribus, plain sovereign money would leave the level of interest rates unaltered. Both systems would create an important seigniorage to the benefit of the public purse, but with contrasting implications. A 100% reserve would in actual fact be an additional interest burden on banks and/or nonbanks. It could be likened to a money tax. Genuine seigniorage from sovereign money, by contrast, can reduce the tax burden. Moreover, and contrary to what 100% reformers have assumed, transition from a fractional 3–11% reserve to a 100% reserve would help to pay down sovereign debt only to a minor extent, depending on domestic banks' holdings of sovereign bonds and other public debt. Currently these represent about a quarter of sovereign debt. The major rest would directly have to be lent to the banks for serving as 100% reserve. The money would remain committed in this function and thus cannot help to pay down public debt. In a plain sovereign money system, by contrast, the one-off transition seigniorage can in actual fact fully be used for paying down up to two thirds of public debt, according to present conditions. The reserves in a 100% system would still be created as credit. The ensuing seigniorage would thus be interest-bearing seigniorage, not genuine seigniorage. The money supply would still represent credit-and-debt-money. Not so in a sovereign money system where the most part of the money supply would be spent into circulation free of interest and redemption. The money supply would thus be debt-free. For further reading on 100% reserve on this website > here. Benes, Jaromir / Kumhof, Michael 2012: The Chicago Plan Revisited, IMF-Working Paper, WP 12/202, International Monetary Fund, Washington. The term 'plain money' was coined by Huber/Robertson in Creating New Money, 2000. Among the alternatives is the term 'liquid money' as coined by Michael Schemmann, even though he relates this to the concept of central-bank current accounts for everybody – which is not the only, and probably not the easiest-to-implement solution to the problem. (Cf. Liquid Money - The Final Thing. Federal Reserve and Central Bank Accounts for Everybody, IICPA Publications, 2012). In this paper, the terms 'liquid (sovereign) money' and 'plain (sovereign) money' will be used interchangeably. Chartal money is not necessarily the same as sovereign money. According to the 'state theory of money' by G. Fr. Knapp (1905) or A. Mitchell-Innes (1913/14) as well as contemporary Modern Money Theory, 'chartal' or 'sovereign' money is found to exist when the state determines the national currency unit of account and merely accepts specific means of payment (especially demand deposits created by private commercial banks) in payment of taxes, or uses such money for its own payments, without issuing the means of payment itself. In a plain sovereign-money system, by contrast, there is no private or bank money. All means of payment are legal tender (lawful money) exclusively issued by a state authority as, for example, the national central bank. As a result, it is public budgets, not the banks, which benefit from the genuine privilege of creating money. Currie, Lauchlin 1934: The Supply and Control of Money in the United States, Cam­brid­ge, Mass. : Harvard University Press. - Hart, Albert G. 1935: The Chicago Plan of Banking Reform, The Review of Eco­no­mic Studies, 2 (1935) 104–116, reprinted in: Friedrich A. Lutz/Lloyd W. Mints (Eds.) 1951: Readings in Mone­ta­ry Theo­ry, Home­wood, Ill.: Richard D. Irwin, 437–456. - Simons, Henry C. 1948: A Positive Program for Laissez Faire. Some Pro­po­sals for a Liberal Eco­no­mic Policy, and: Rules versus Authorities in Monetary Poli­­­cy. Both articles in: H.C. Simons, Eco­nomic Policy for a Free Society, The Uni­­versity of Chicago Press, 1948. First published as 'Rules versus...', The Jour­nal of Political Economy, 44 (1936) 1–30. - Friedman, Milton 1948: A Monetary and Fiscal Framework for Economic Sta­bi­­lity, The Ame­ri­can Economic Review, 38 (1948) 245-264, reprinted in: Friedrich A. Lutz/Lloyd W. Mints (Eds.) 1951: Rea­dings in Monetary Theo­ry, Homewood, Ill. (Richard D. Irwin), 369–393; re­prin­ted again in: M Friedman (Ed.) 1953, Essays in Positive Economics, The Uni­ve­r­si­ty of Chi­­­ca­­go Press, 133-156. - Friedman, Milton 1959: A Program for Monetary Stability, New York: Ford­ham Uni­ver­sity Press. - Friedman, Milton 1969a: The Monetary Theory and Policy of Henry Simons, in: Ders., The Optimum Quantity of Money and other Essays, New York: Aldine de Gruy­ter, 1969, 81-94. Fisher, Irving 1935: 100% Money, Works Vol. 11, ed. and introduced by Wil­liam J. Barber, London: Pickering & Chatto, 1997. Douglas, Paul H / Hamilton, Earl J. / Fisher, Irving / King, Willford I. / Graham, Frank D. / Whittlesey, Charles R. 1939: A Program for Monetary Reform. Unpublished, but widely circulated among economists at the time. Available from the Kettle Pond Institute for Debt-Free Money, http://www.economicstability.org/history/a-program-for-monetary-reform-the-1939-document. - A more recent presentation of the approach of 100% reserve is given by Phillips, Ronnie J. 1995: The Chicago Plan & New Deal Banking Reform, Foreword by Hyman P. Minsky, Armonk, NY: von M. E. Sharpe Inc. Thus far, the analysis of fractional reserve banking converges with the analysis given by Modern Money Theory MMT and most post-Keynesians. A fundamental difference, however, is that MMT considers bank money (demand deposits) to be an integral part of the 'sovereign-currency' system that fractional reserve banking allegedly represents. To MMT, amazingly, fractional reserve banking is an efficient and benign system. If there are crises, this is to blame on factors other than the monetary system. Since MMT does not recognise the dysfunctions of fractional reserve banking, it does not see a need for monetary reform. In this respect, MMT is far from representing a new currency theory, and looks in fact like new banking teaching. Sources: ECB, Monthly Bulletins, tables 1.4.2, 2.3.1–2. Deutsche Bundesbank, Monatsberichte, Tab. IV.1, V.3. - At present (2012/13), excess reserves in the EMU are exceptionally high at 9–10% of demand deposits. This is due to Quantitative Easing (flood of reserves coming with deposit interest) and an attempt of the banks to raise in this way equity and assets as required by Basel III. At present (2012/13), base-rate and deposit interest levels are zero or close to zero. The present situation is an exception caused by massive Quantitative Easing (flood of reserves) and an obsolete overhang of all kinds of deposits without lucrative conservative investment perspective. So the mechanism of immobilising deposits through paying deposit interest is largely disabled, but this condition is equal for all. It becomes apparent that banks actually do not need deposits to give credit. What forces them to accept interest-bearing deposits is competition, including competitive immobilization of deposits, and to a certain extent misconceived regulation. Sooner or later, interest rates will bounce back to normal levels. Huerta de Soto, Jesús 2009: Money, Bank Credit, and Economic Cycles, Auburn: AL: Ludwig von Mises Institute, chapt. 1–2. 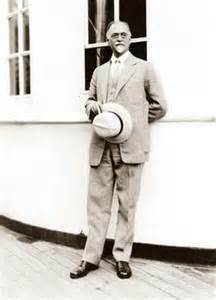 Irving Fisher 1935: 100%-money, 62. For a similar line of argumentation cf. Schemmann, Michael: The ABC of Sovereign Debt Redemption, IICPA Publ., 2011 87. A generic term for all approaches to 100% reserve is full-reserve banking. Since about 2010, however, the term 'full reserve' has been used in the publications of the British Positive Money Campaign and the New Economics Foundation in the sense of monetary reform along the lines of the Huber/Robertson proposal of plain sovereign money. The idea behind this may have been 'reserve = central-bank money' and 'full reserve = all money exclusively issued by the central bank'. Seen in this way, it seems to make sense. Unfortunately, however, it contributes to conceptual confusion and to blur the structural differences between a 100%-reserve design and a plain sovereign money system. As a final consequence, the new approach of plain liquid money will not profit from the great fame of old names, but will rather be affected by their rejection, a rejection actually justified on operational grounds. Cf. Huber, Joseph / Robertson, James 2000: Creating New Money, London: New Economics Foundation. – The term 'full-reserve banking' was used, for example, in: Towards a Twenty-First Century Banking and Monetary System. Submission to the Independent Commission on Banking, 2010, written by Ben Dyson (Positive Money), Tony Greenham, Josh Ryan-Collins (New Economics Foundation), Richard A. Werner (University of Southampton). Available at: http://www.neweconomics.org/publications/towards-a-21st-century-banking-and-monetary-system. This is the only point on which MMT, in person R. Wray (2012 79), is right about 100% reserve. In the beginning, Fisher, as most 100% reformers, was not always clear about whether to demand a 100% cash reserve or a non-cash reserve on central-bank account, i.e. reserves properly speaking. Fisher still had the idea that cash was the 'actual physical money' base. In the 1930s, this was not entirely forgivable any more, bearing in mind that the credit theory of money was developed in the 1890s and the issue was already present in the currency-vs-banking controversy of the 1830–40s. Over the years, though, the 100% reformers silently specified that the 100% reserve referred to checkable deposits (in Europe M1, not M2/M3) and would have to be held in non-cash central-bank reserves, whereby cash in vault would have been eligible. Huerta de Soto, Jesús 2009: Money, Bank Credit, and Economic Cycles, Auburn: AL: Ludwig von Mises Institute.